Minutely hazy medium light deep color. Bright, sweet aromas and flavors of chocolate turtles and coffee cake with a glycerous, bright, fizzy, fruity medium body and a graceful, subtle, medium-length finish that presents notes of chocolate citrus peels, melon, and bibb lettuce finish. A crisp, very refreshing amber ale that is sure to please. Bottom Line: A crisp, very refreshing amber ale that is sure to please. 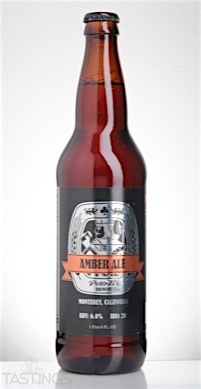 Amber ales can be anywhere from light copper to light brown in color and typically range from 4.5-6.5% in alcohol. They are light-to-medium bodied and are quite malty but not heavily caramelized in flavor. This is a more modern, non-traditional style, and many of these beers borrow heavily from the characteristics associated with more classical styles such as pale ales or bitters. 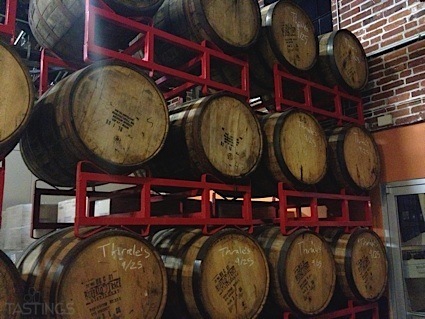 Many North American brewers are now producing ales under this designation. We also classify “red ales” in this category. Noteworthy examples of this style include: Full Sail Amber Ale, Rogue American Amber Ale and Stone Levitation Ale. Peter B’s Brewpub Inclusion Amber Ale rating was calculated by tastings.com to be 92 points out of 100 on 3/30/2016. Please note that MSRP may have changed since the date of our review.